A Lutheran higher education community, Concordia University is nestled amid an attractive 192-acre campus on Lake Michigan shore. 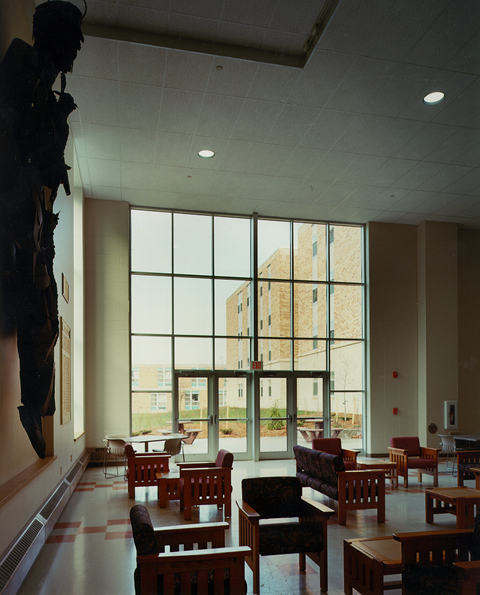 The 100,000-square-foot Regents Hall houses 255 students in modern suites featuring individual bedrooms, living rooms, and bathrooms. Many of the amenities include an atrium, comfortable lounges, and flexible meeting rooms that are equipped with full Internet access. The concept of a unified campus has been maintained by including an underground tunnel, which connects the new building to the rest of the university complex.